A common question I get from buyers is to grade the quality of the work in a house, particularly with flips. One item to look at when you have a brick chimney is to see what type of counter-flashing is on the chimney. First, what is counter-flashing? 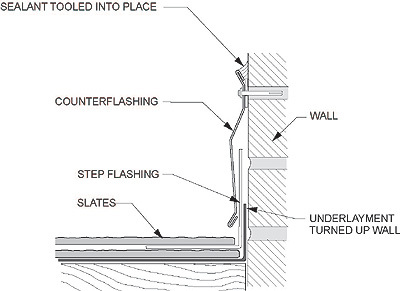 Counter-flashing is the material, typically metal, which covers the underlying flashing. 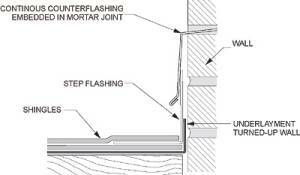 Its purpose is to prevent water from getting behind the top edge of underlying flashing. 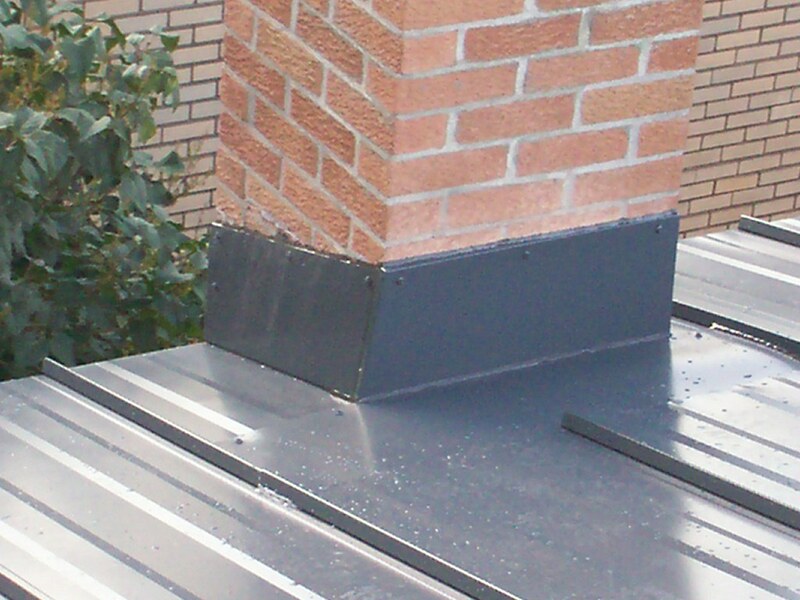 Chimney counter-flashing can be installed in two different ways. 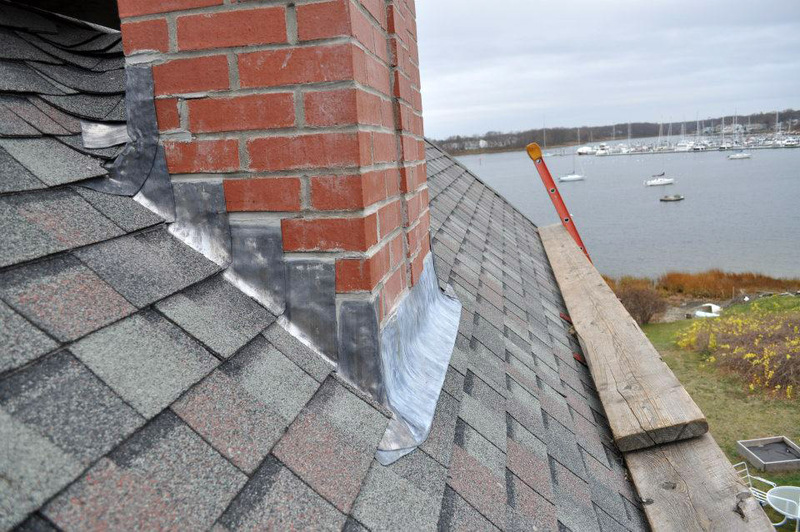 The first way is to install a strip of sheet metal along the chimney to cover the flashing. It can be fastened to the chimney and then sealed along the top edge (see Figure 1). The issue with this design is that sealant will deteriorate over time. Water may get behind the flashing and then into the building system. 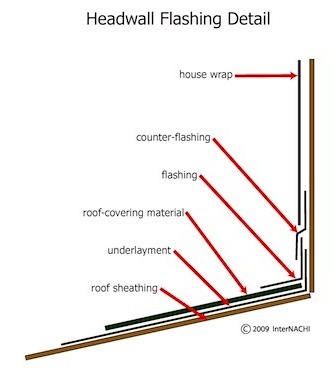 The second method is to use a reglet counter-flashing style. 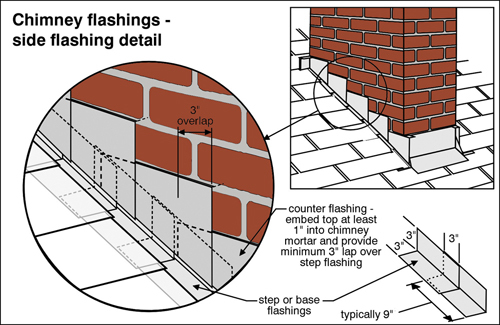 This requires the counter-flashing to be notched into the actual masonry joints (see Figure 2). This prevents the need for sealant to be applied to the top edge of the counter-flashing. No maintenance required and no potential for water damage. Of course, this is a bit more expensive but, in my mind, totally worth the expense.